144Hz refresh rate, 2560x1440 resolution, IPS panel and G-Sync for just $519.99. 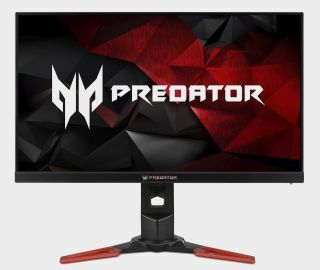 Acer's flagship Predator XB1 gaming monitor is at its lowest price ever this Cyber Monday. Normally priced well over $700, the XB271HU monitor features a color rich IPS panel that easily overclocks to 165Hz. It's actually been marked down to $549 for most of Black Friday weekend, but it's now available at B&H for just $519. The 27-inch monitor features G-Sync support and a WQHD resolution at 2560x1440. It's currently out of stock on the site but B&H is still honoring the price with more stock on the way. If you're in the market for a high end gaming monitor, this is the deal for you. We'd even recommend the XB271HU over our choice for the best gaming monitor at this price point. If you're fortunate enough to have an extra $1700 laying around, Acer's fancy 4K HDR monitor with 120Hz and G-Sync is also on sale at Amazon.